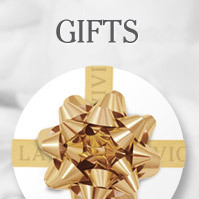 To help find the ring she’ll love, La Vivion has collected all the information you need to make your decision. Deciding on the right combination of diamond size and quality, can help to ensure that you find the perfect diamond ring for your partner. Whether you think she will favour a traditional setting with a single round diamond or a more unusual cut, we can help you to find the largest, highest-quality diamond within your budget. At La Vivion we will ensure that you have a complete understanding of the ring you are buying so you are sure to make the right decision for the big day. LA VIVION offers you two options for your comfort choice. 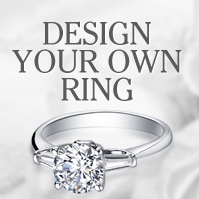 If you want to start Design Your Own Engagement Ring please click here. 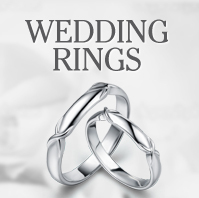 You may choose one of our engagement rings by clicking here. LA VIVION sells perfect engagement rings worldwide and different parts of the world has different tastes but in average we may conclude as follow. The most popular diamonds with a round shape and the range is 0.5 carat - 2 carat for the central stone with F-G-H/VS1-2 quality. This is Engagement Ring in Platinum with 1 carat diamond from LA VIVION's Classic collection. La Vivion's style ID for this ring is BDR2882. You may select any diamond starting 0.30 carat up for this setting if you prefer to use Design Your Own Ring option but this design is also available in our in stock program and you may find it here. This is Engagement Ring in Platinum with 0.5 carat diamond from LA VIVION's Vintage collection. La Vivion's style ID for this ring is BDR2802. 14k Rose gold Engagement Ring set with 1 carat diamond from LA VIVION's Contemporary collection. La Vivion's style ID for this ring is BDR2991. You may select any diamond starting 0.30 carat up for this setting if you prefer to use Design Your Own Ring option but this design may be available in our in stock program and you can try to find it here. This is 18k yellow gold Engagement Ring with 0.40 carat central diamond and two marquise cut side diamonds with a total weight 0.18 carat from LA VIVION's Sidestones collection. La Vivion's style ID for this ring is BDR2994. We would recommend to select diamonds starting 0.30 carat up for this setting if you prefer to use Design Your Own Ring option but this design may be available in our in stock program and you can try to find it here. Gorgeous 18k white gold Halo Engagement Ring with a 0.5 carat central diamond and 40 side diamonds with a total weight 0.42 carat from LA VIVION's Halo collection. La Vivion's style ID for this ring is BDR2983. We would recommend to select diamonds starting 0.50 carat up for this setting if you prefer to use Design Your Own Ring option but this design may be available in our in stock program and you can try to find it here. Now you are ready to start Design Your Own Engagement Ring from here. Or make a choice from our in stock diamond rings from here.